Movement based training is not about which exercises you do. There is a misconception that training with me is just a series of weird exercises that I get you to do for the sake of it. But it’s not, It’s not about crawling, handstands or any other exercise that seems popular or cool. Movement training is about paying attention to the detail in how my clients move to really help them achieve their goals. This isn’t something that is looked at by most of the fitness industry because I only know of one fitness education company that promotes teaching to this level of detail. I have spent the best part of the last decade chasing down answers that revolved around movement as it made the most sense to train my clients to move with maximum efficiency. 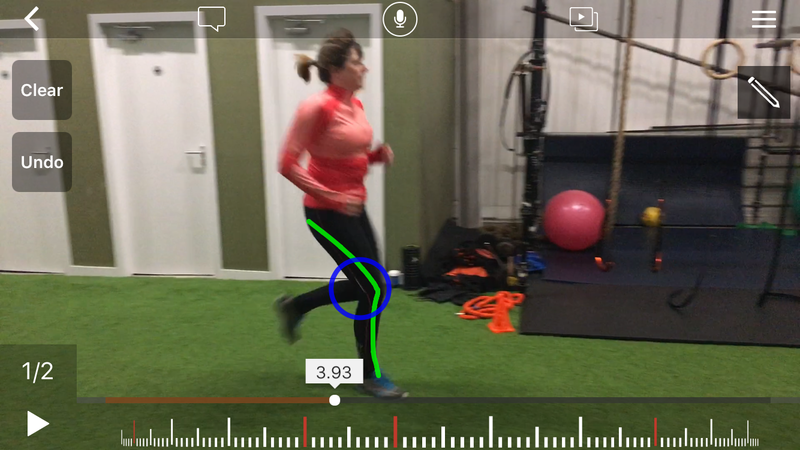 If I have a client that wants to get better at running my goal is to have her run as efficiently as possible and improve her technique before I start overloading it with volume to improve their fitness. The top two images are still shots from a high knee running drill, paused at the point of contact with the ground. The top image is the before where you can see that the standing leg is bent, landing in front of the body the knee drive is late. Second image is the after where you can see Ann landing over her foot, more upright and the knee drive is much faster. It’s a little harder to see in the next couple of images, but you can see a different in the ankle. The right ankle pronates much faster and doesn’t supinate back out. This increases contact time with the ground causing Ann to run slower and less efficiently. 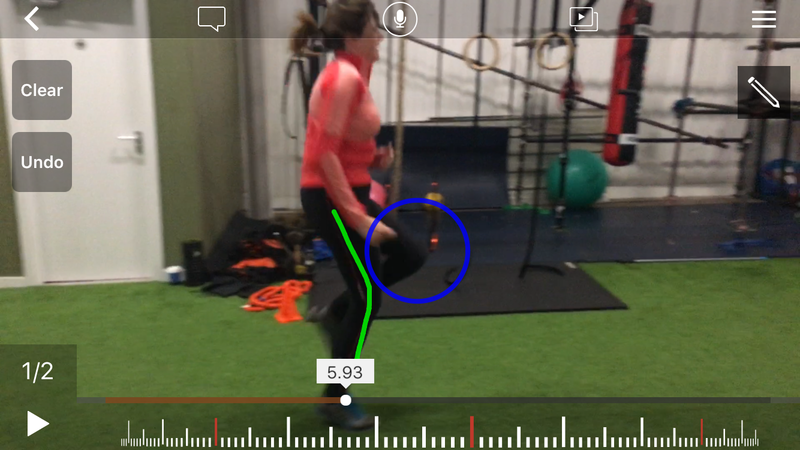 When I changed the drill up a little for the last image and added a CMT movement it caused a change in foot position. 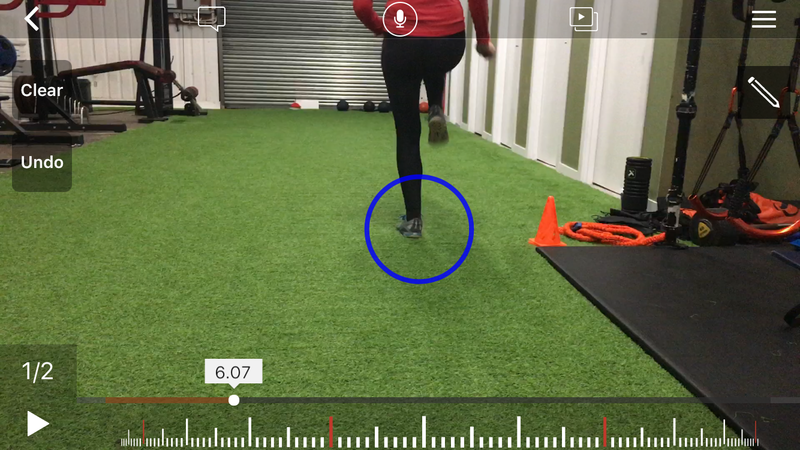 The foot externally rotated before landing, turning the tibia outwards, this allowed more space for the hip to internally rotate upon landing creating what looks like a valgus knee to take the load. The body has found this motion to generate enough power to get the task done but it’s not optimal for efficient running. 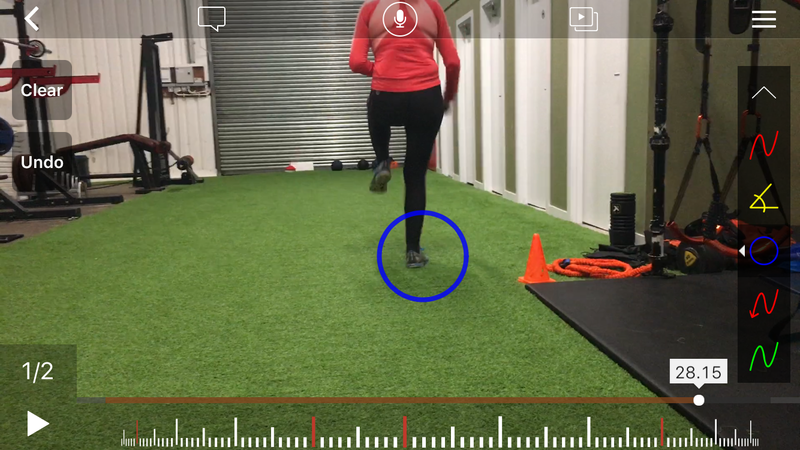 The point of this post wasn’t to try to provide an in depth analysis of running to give you an idea of the details I pay attention to when training my clients. 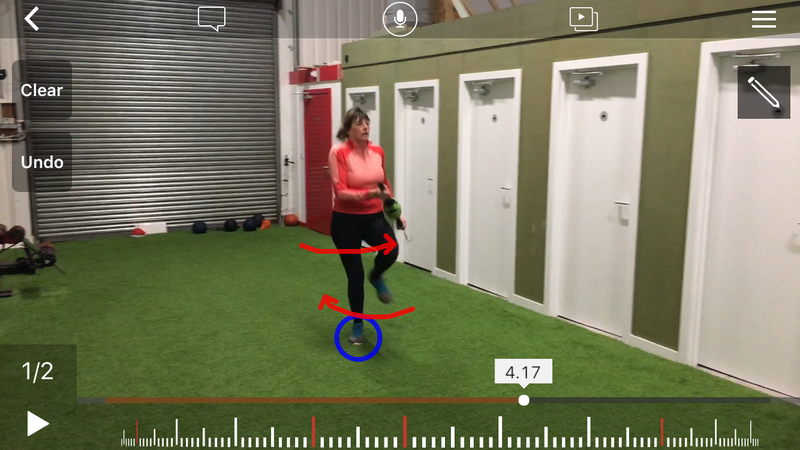 I know these details don’t seem like much but the subtle differences to how you move could make all the difference to your performance, potentially to pain and injury risk.